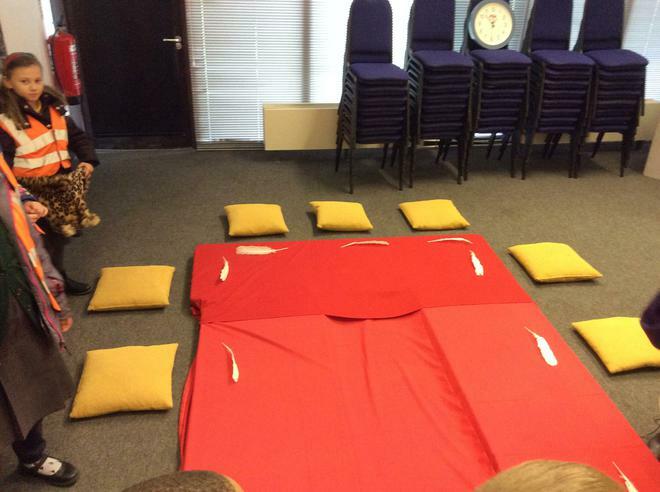 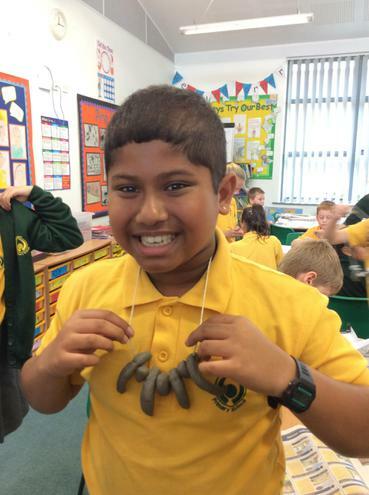 This term in Year 4 our topic is 'Down in the Jungle'. 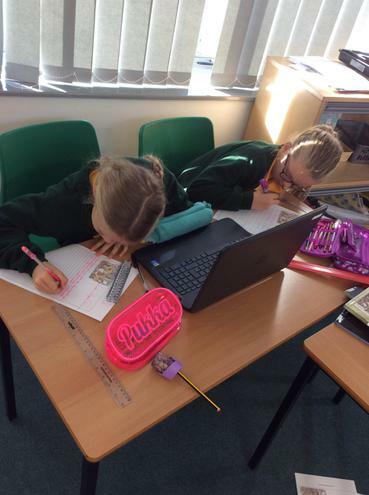 As part of our topic we will be studying both the book and film versions of 'The Jungle Book'. 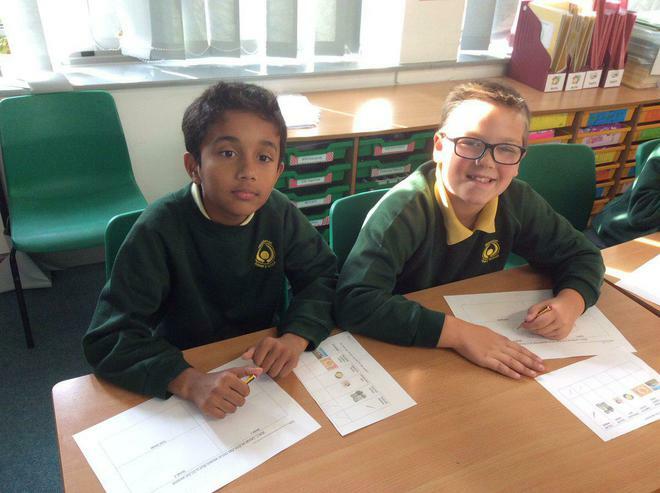 As part of our geography lessons we will be exploring all of the different parts of the jungle and finding out about the country of India. 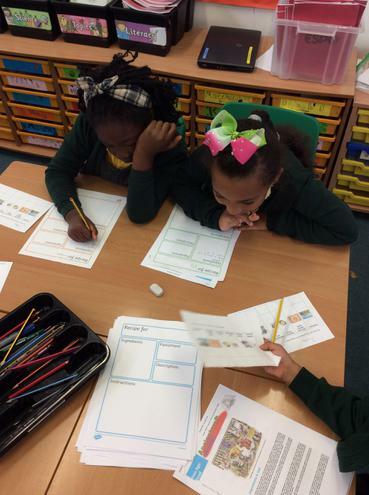 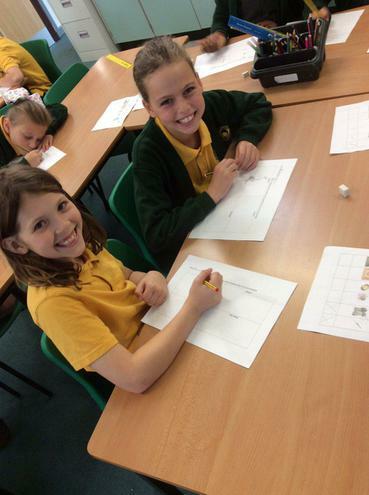 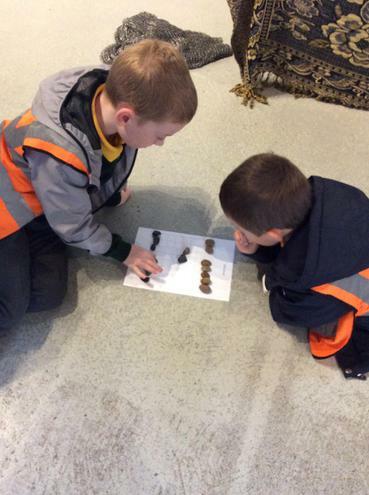 In science, we will be finding out about a variety of living species and their habitats. 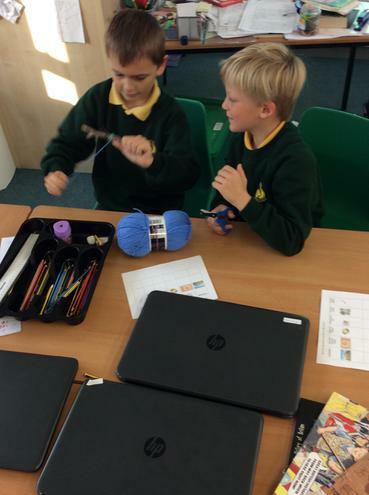 We will also be continuing to learn the keyboard as part of our music lessons. 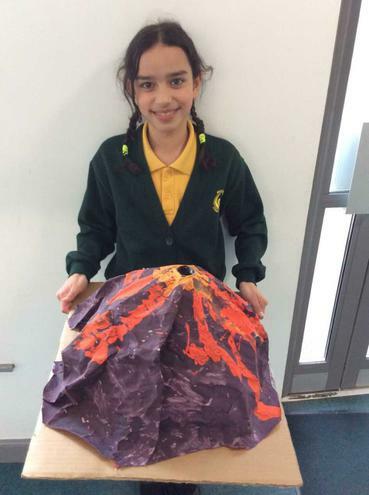 This term we will be finding out about volcanoes and earthquakes. 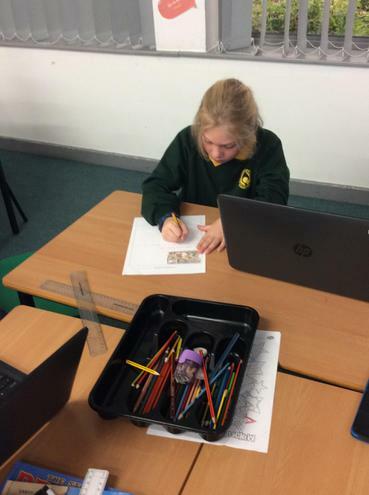 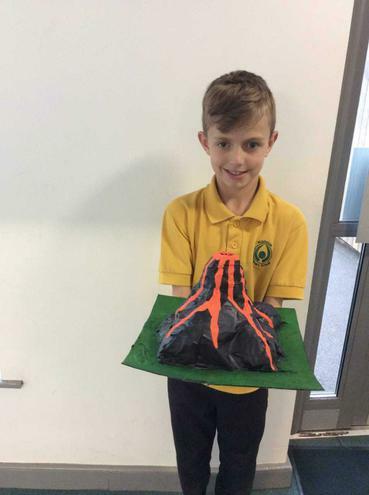 We will be developing our geographical knowledge and skills to locate places around that world where earthquakes have struck or where volcanoes are located...we are going to be conducting case studies to find out about volcanoes that have actually erupted and the after math of it. 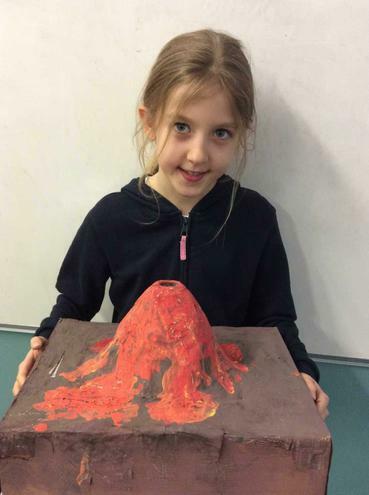 We will also be finding out about Pompeii during our English lessons. 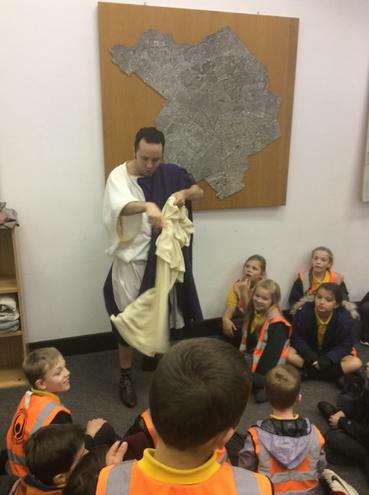 As part of our 'What's that Rumbling?' 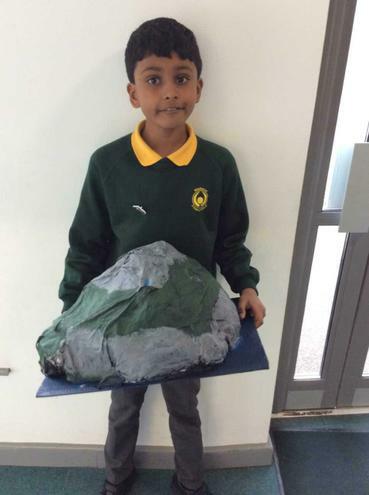 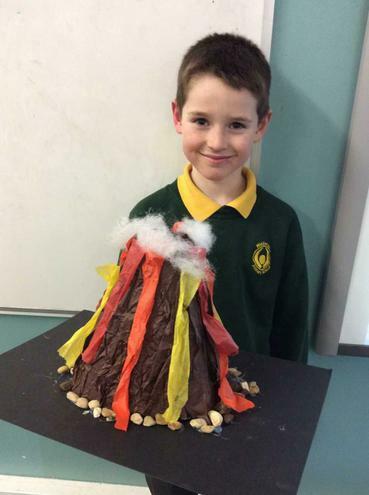 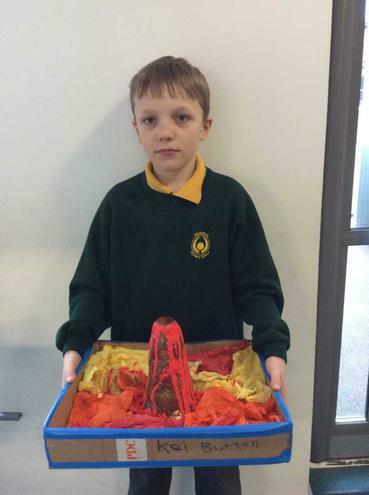 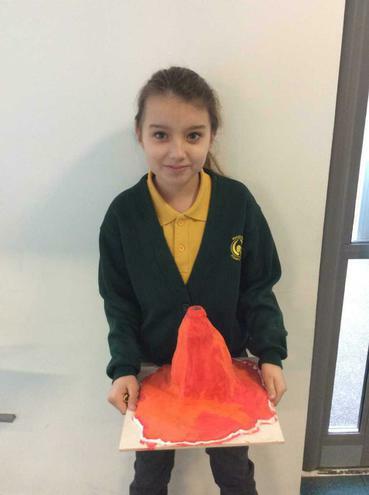 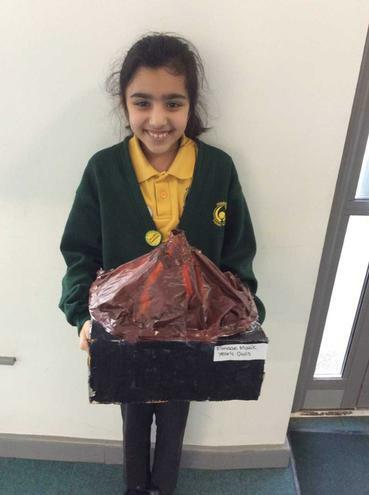 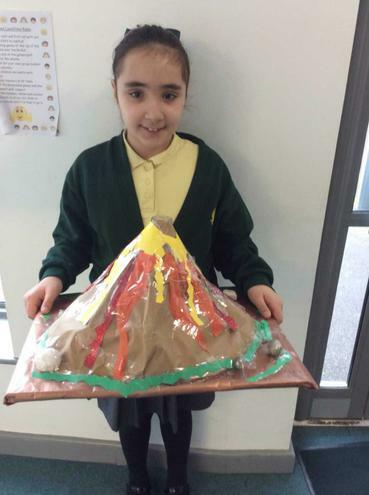 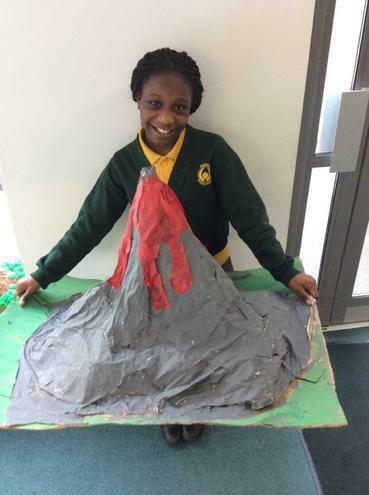 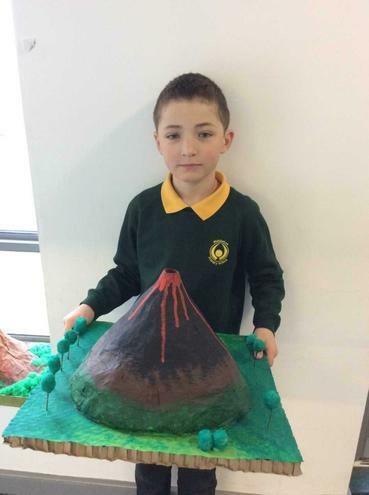 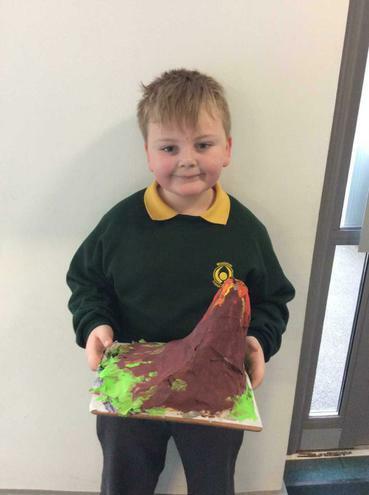 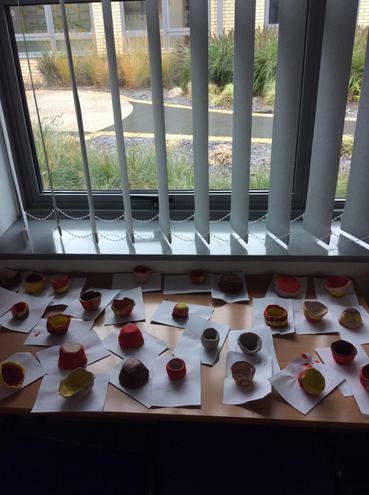 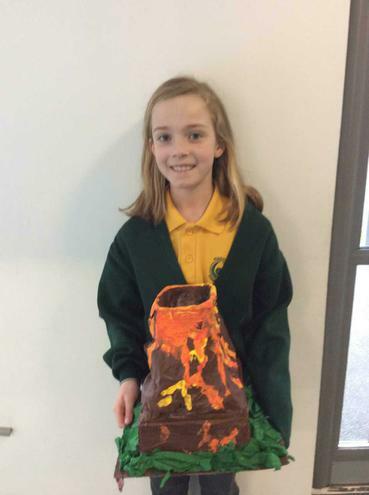 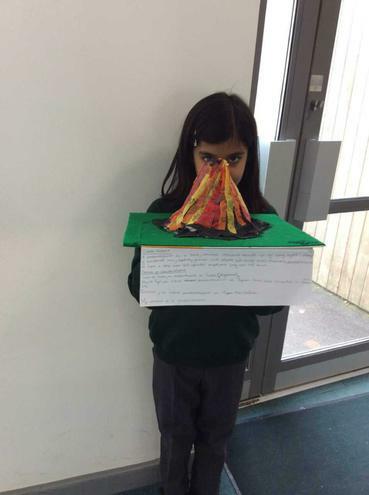 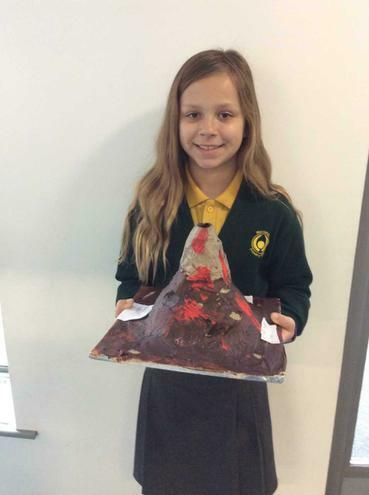 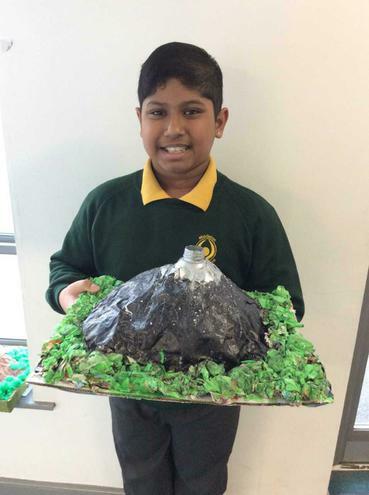 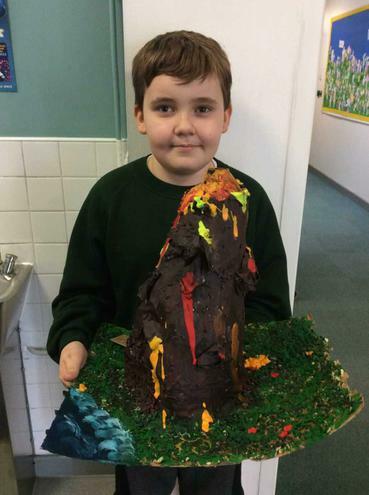 topic, we were set the homework task of designing and making our very own volcanoes. 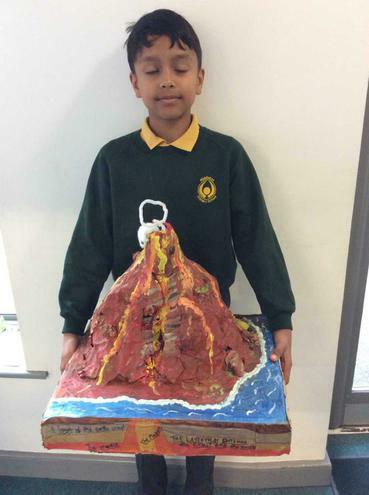 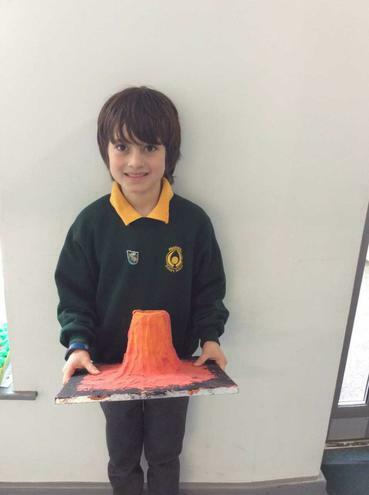 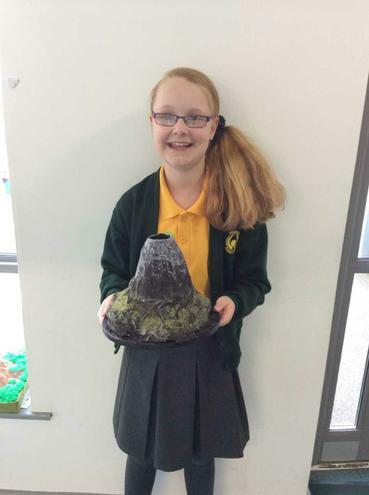 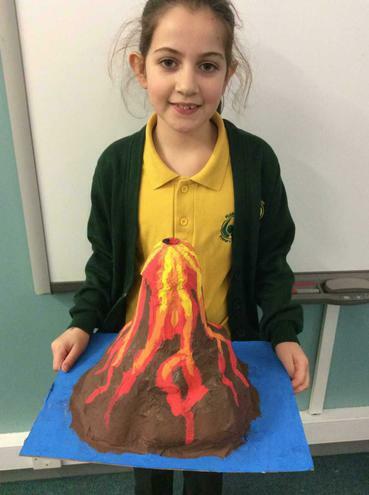 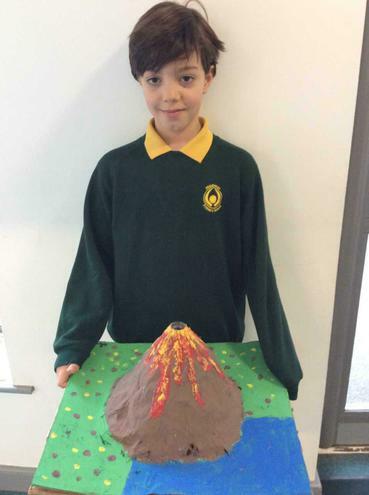 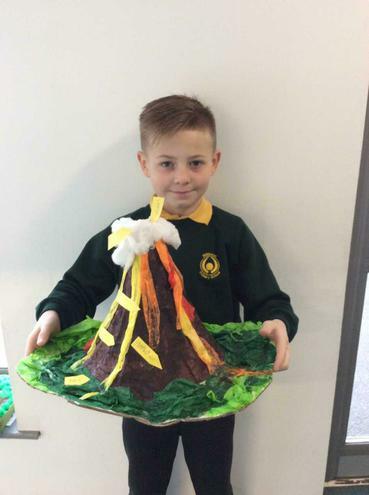 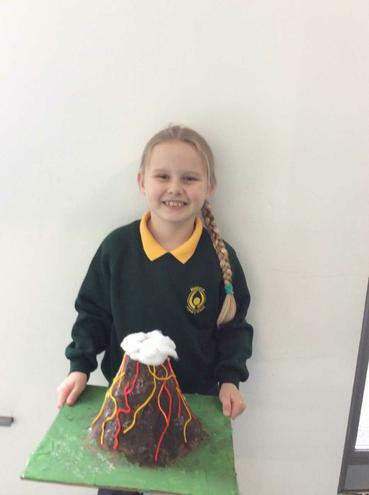 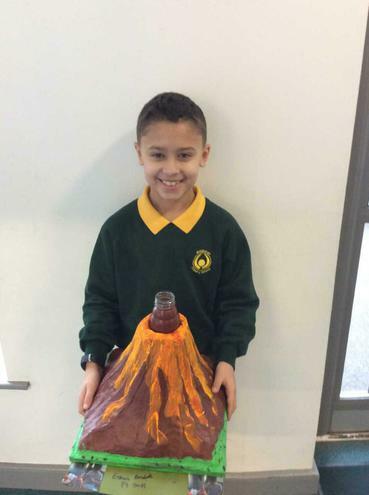 We will be erupting our volcanoes as part of our 'Volcano Day'. 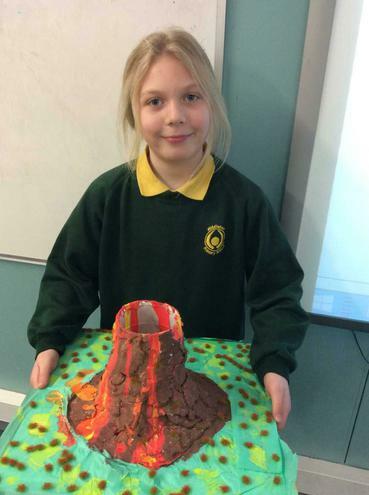 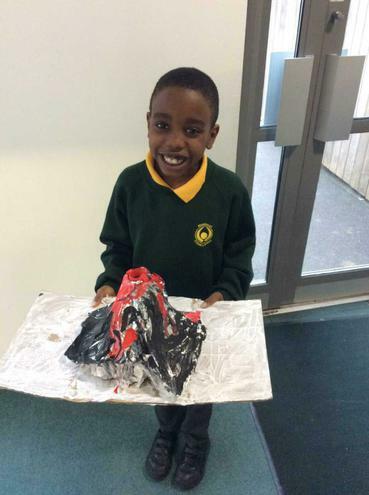 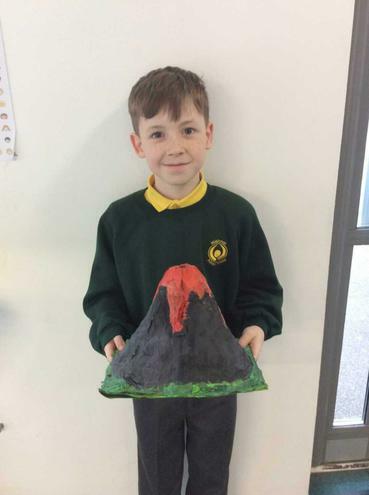 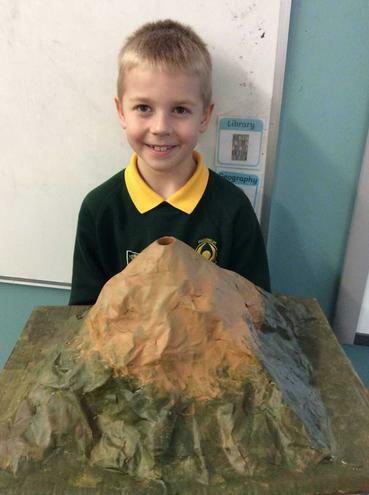 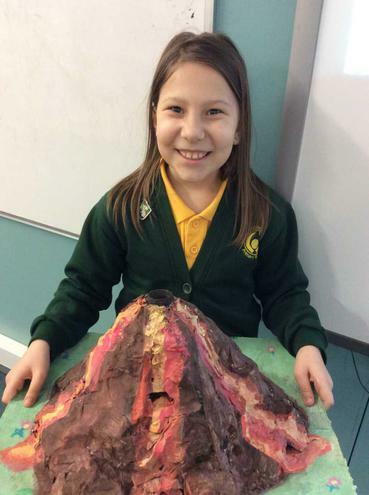 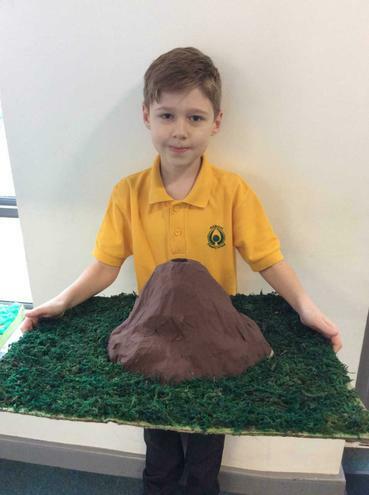 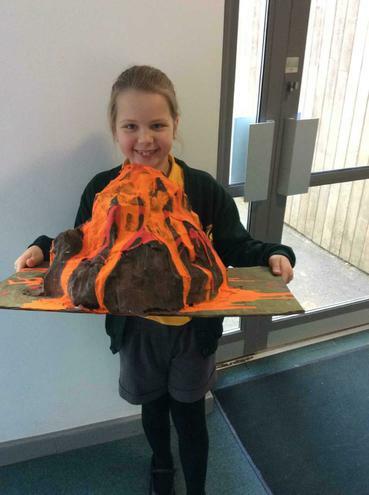 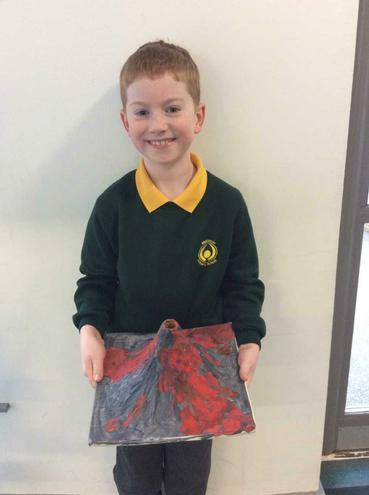 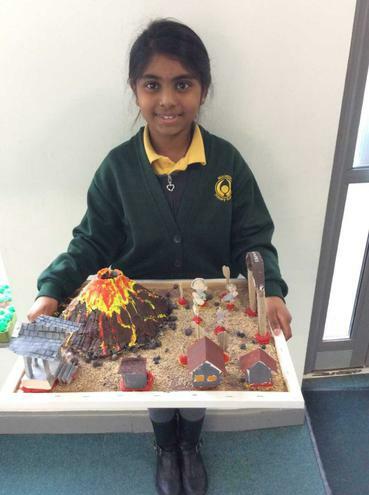 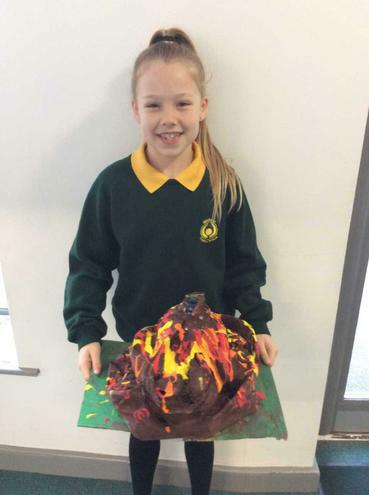 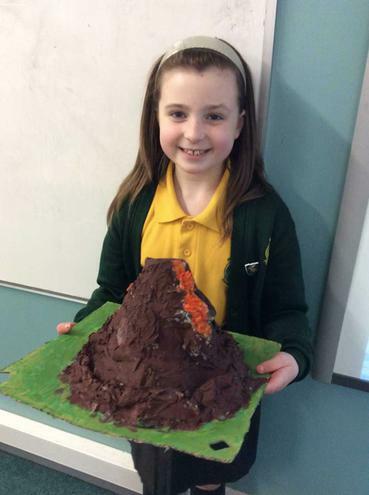 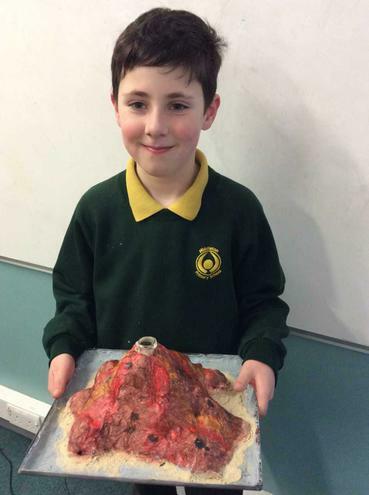 We have enjoyed making the volcanoes at home and then presenting them to our peers in school. 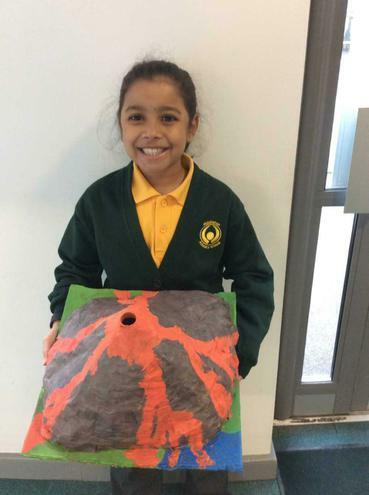 Our volcanoes are on display in thecorridors for everyone to see! 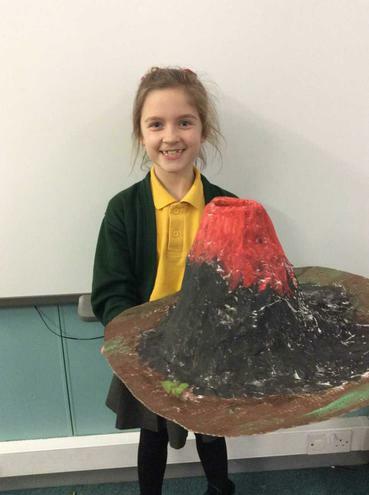 Take a look at some of our volcanoes. 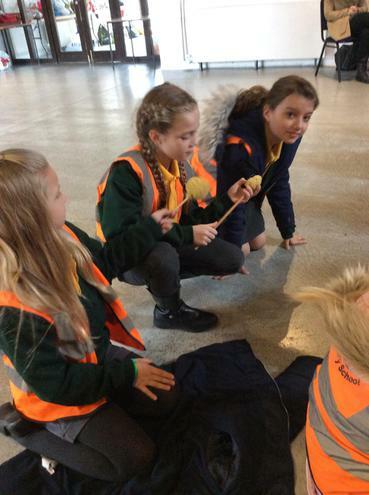 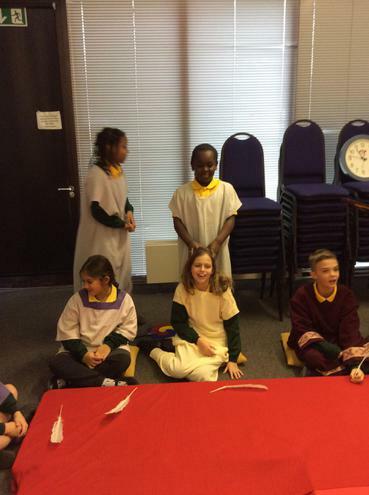 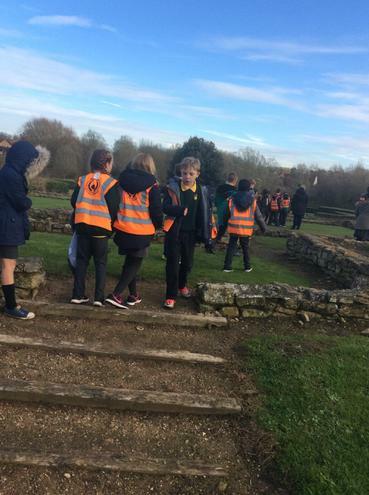 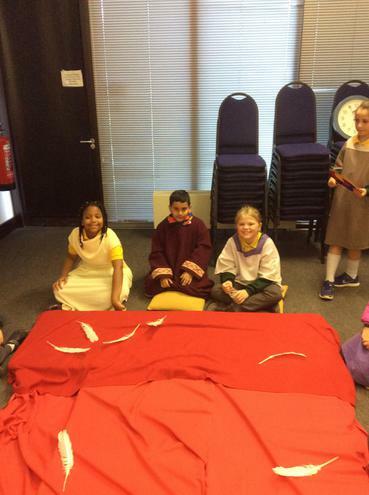 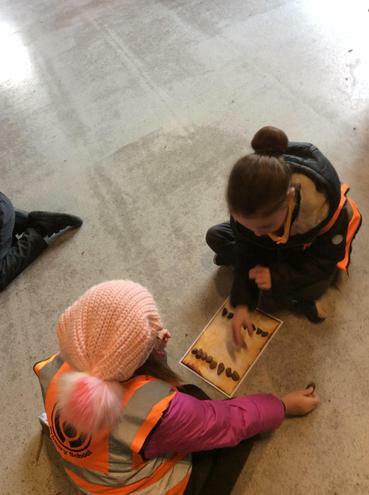 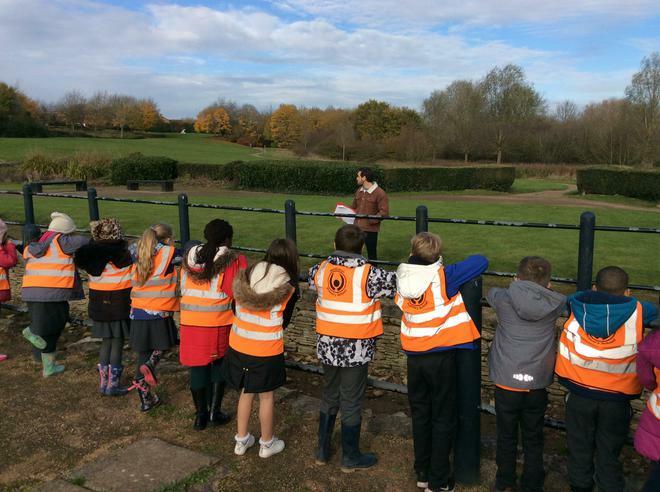 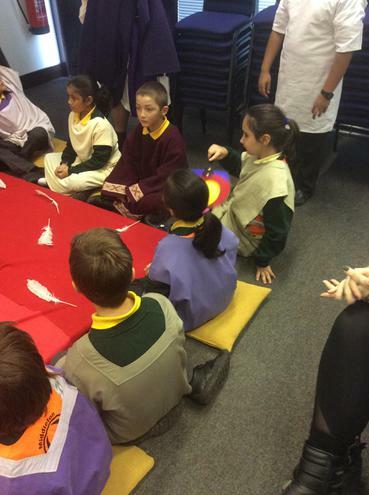 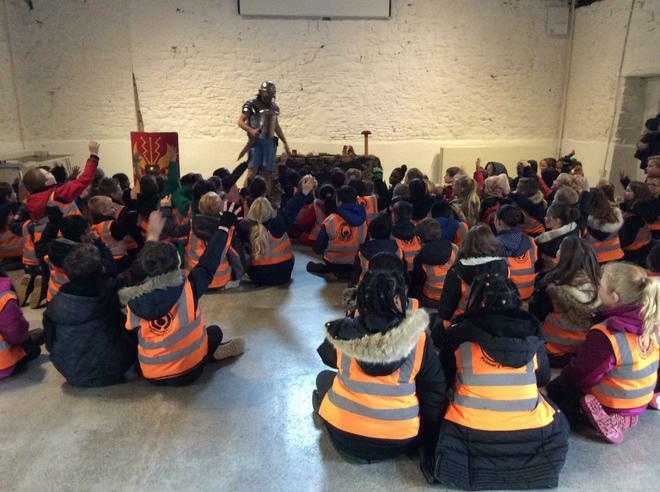 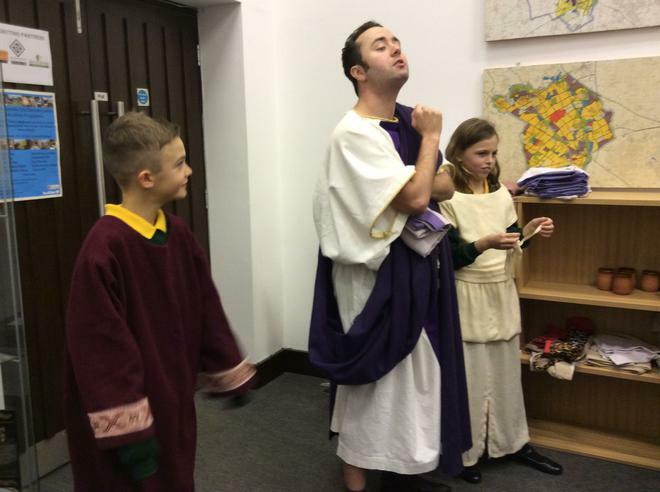 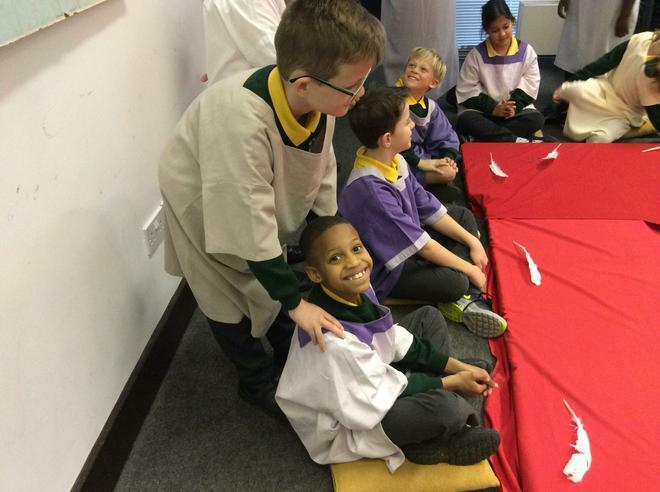 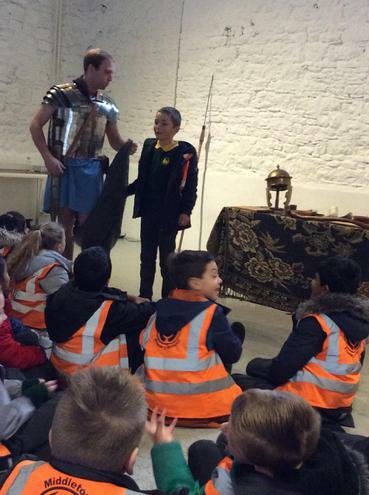 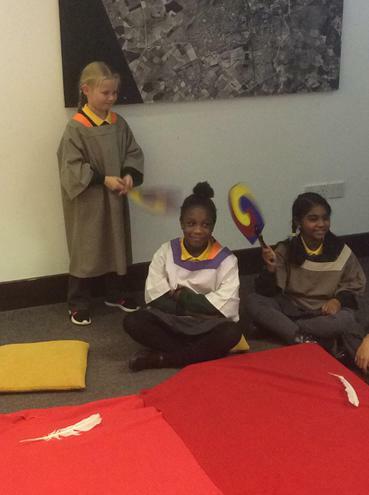 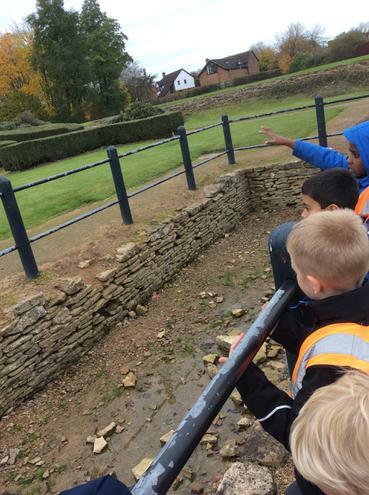 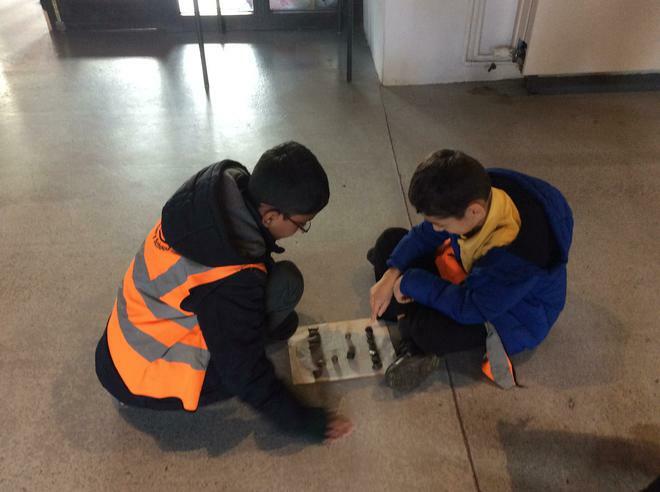 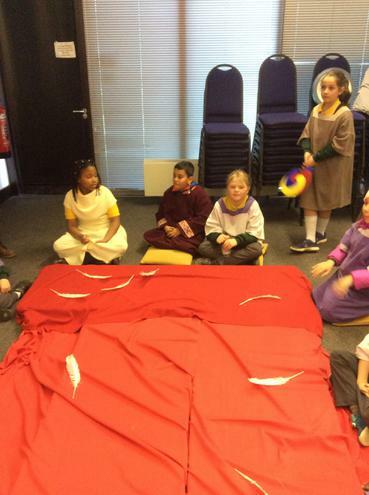 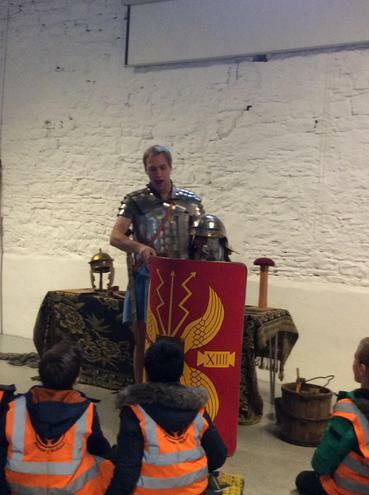 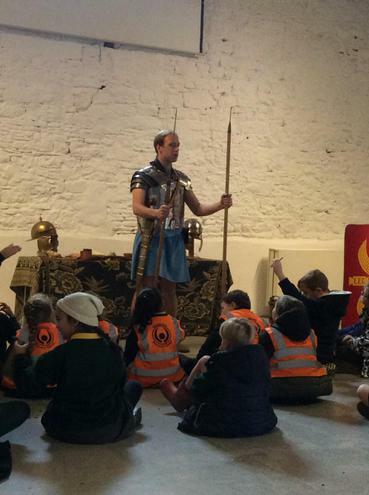 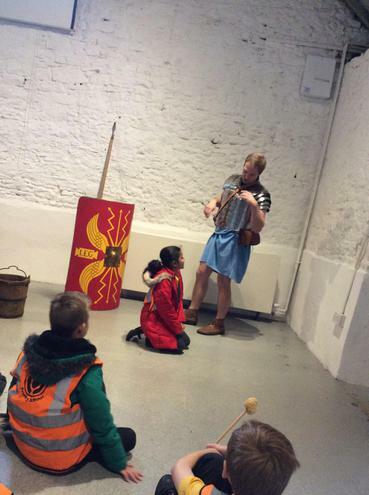 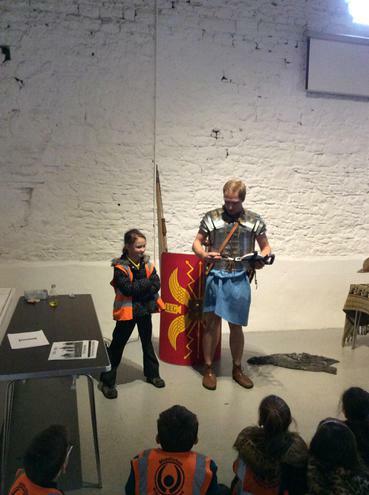 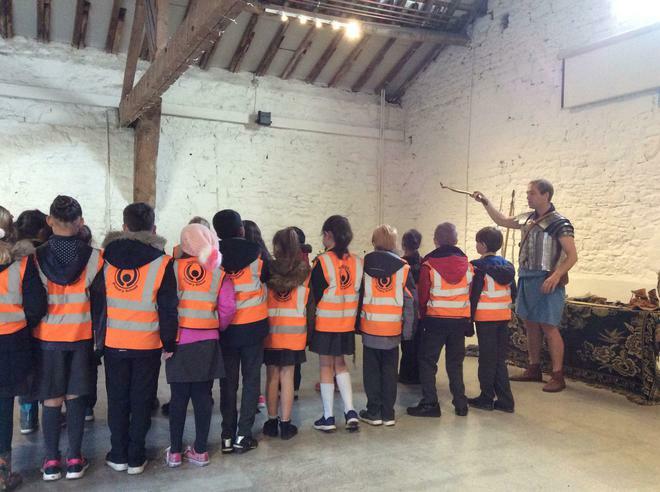 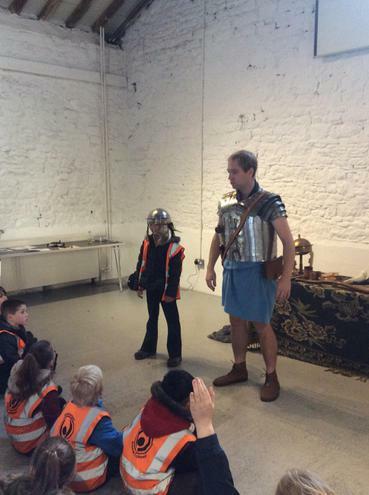 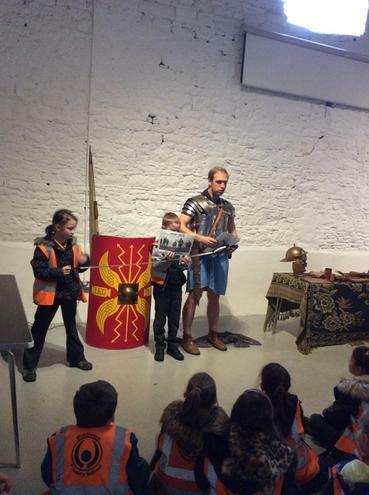 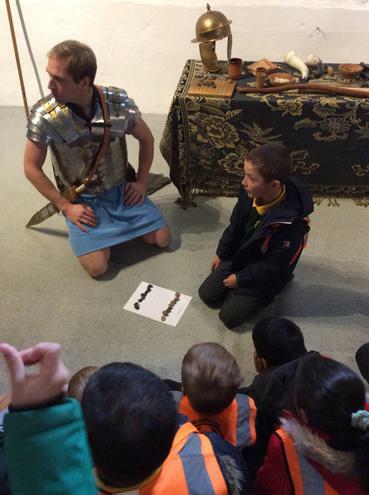 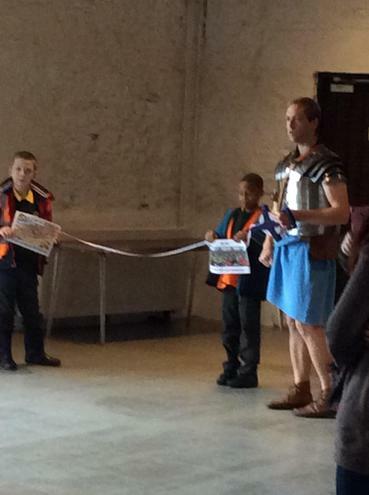 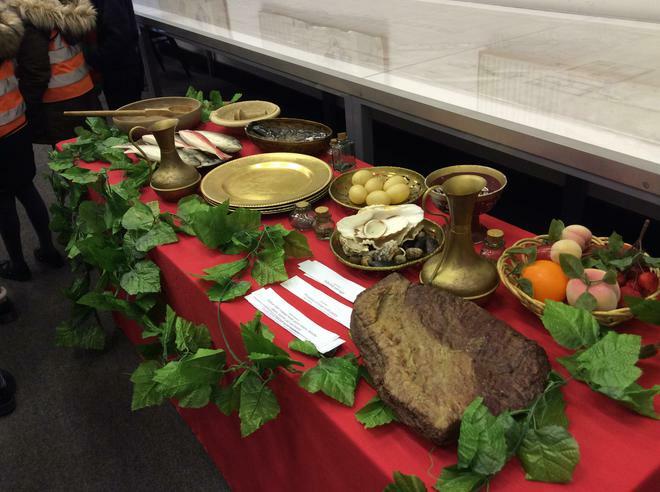 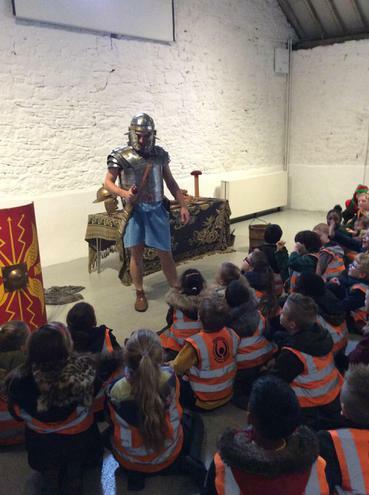 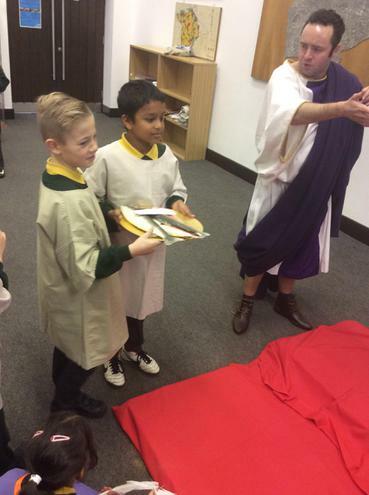 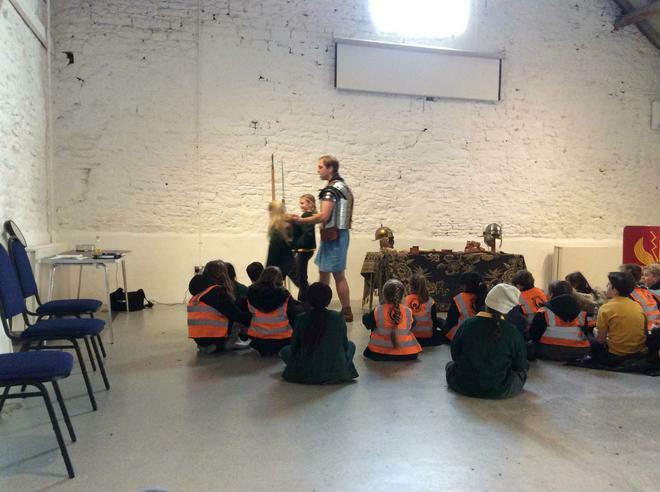 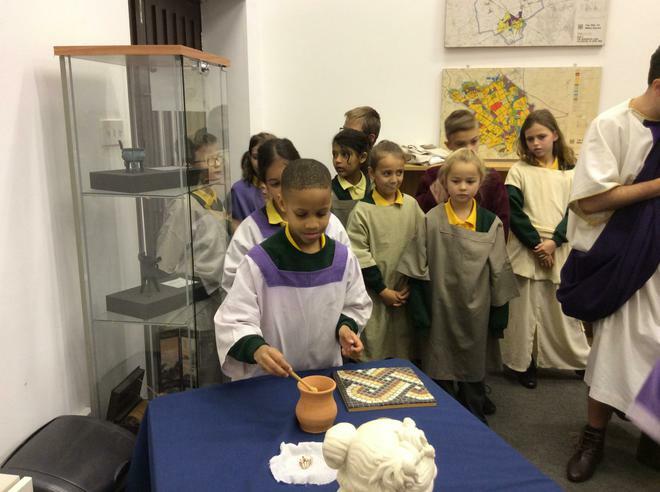 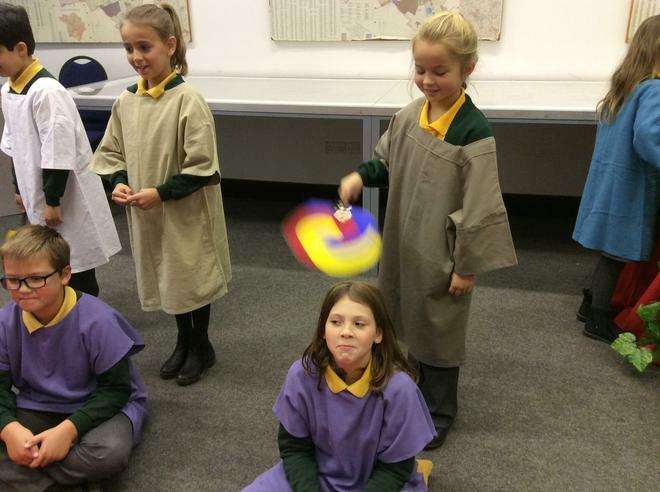 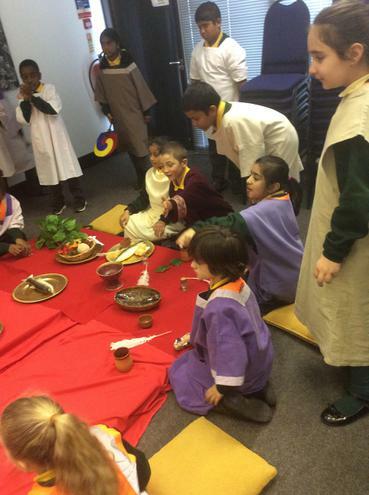 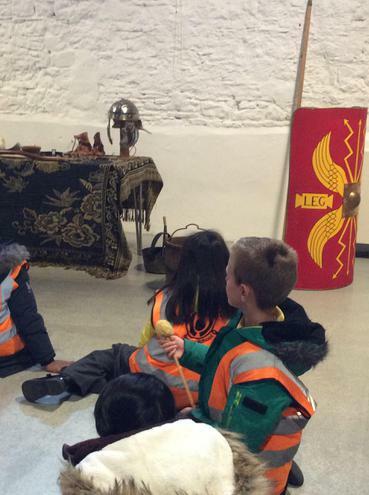 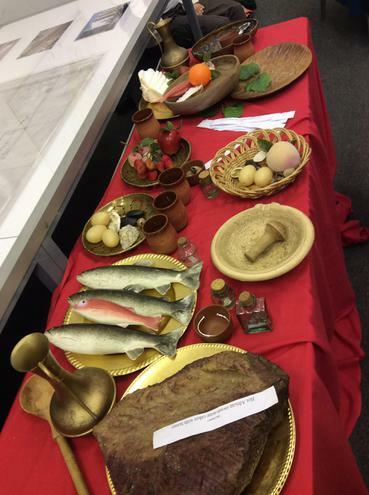 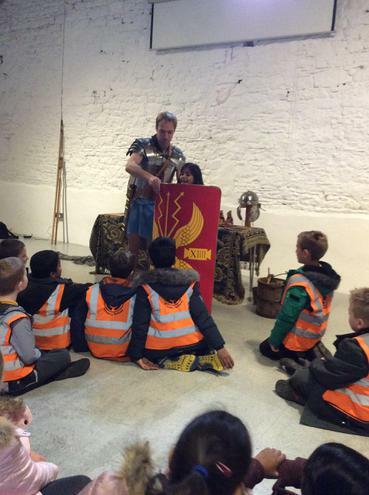 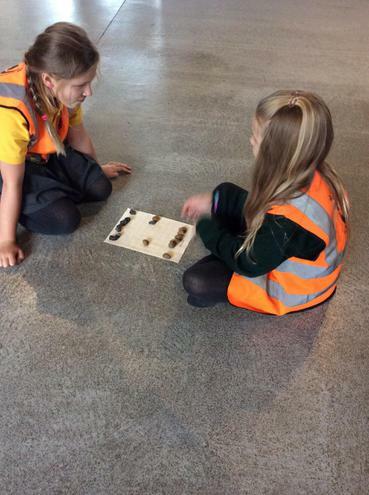 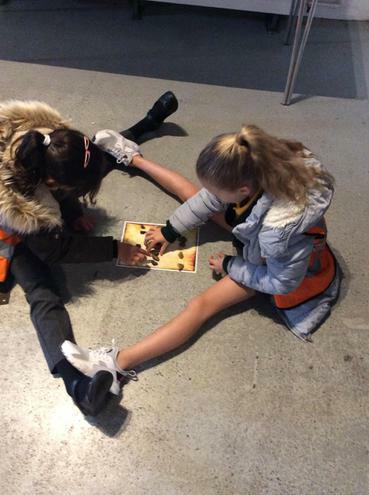 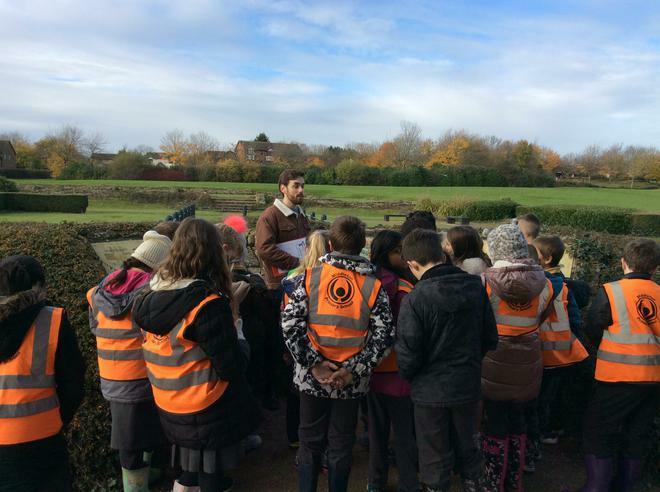 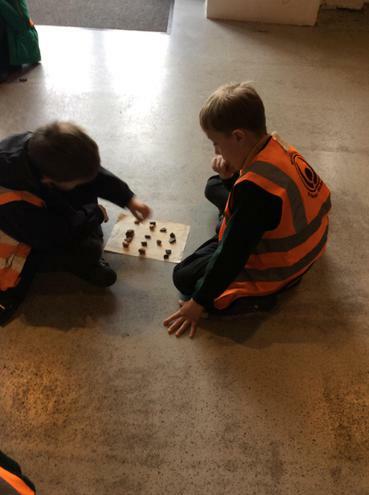 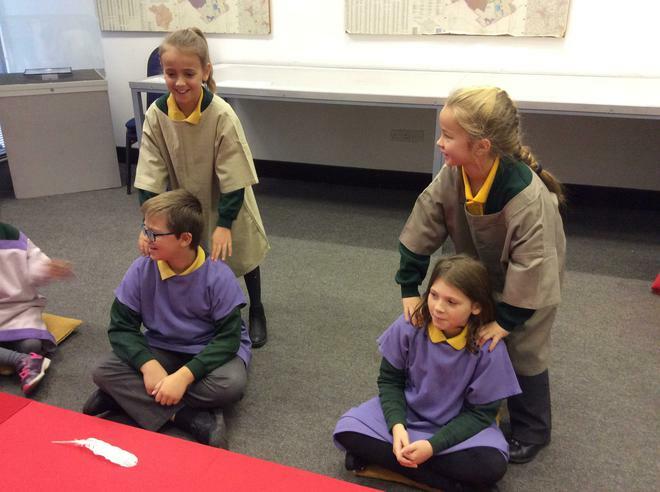 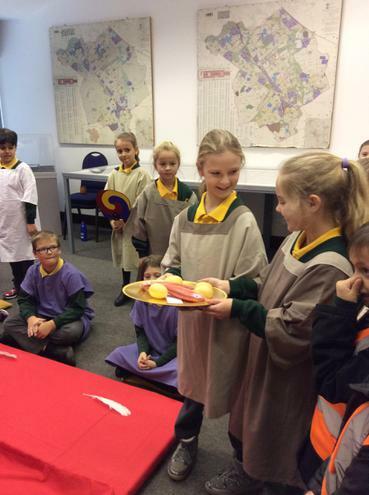 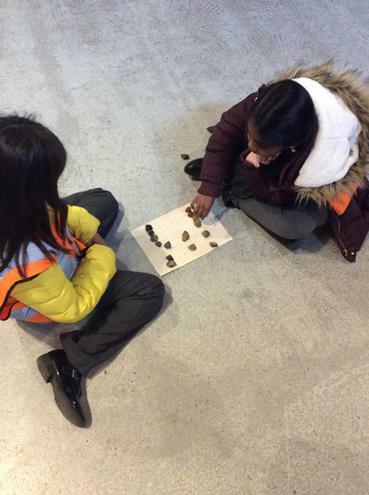 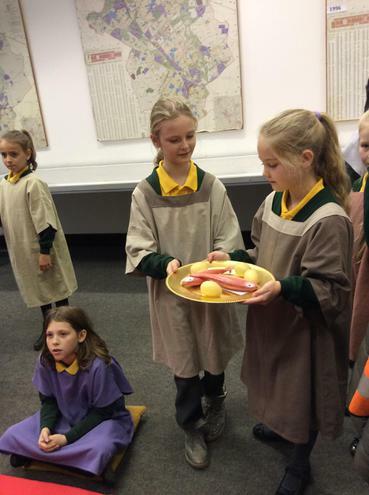 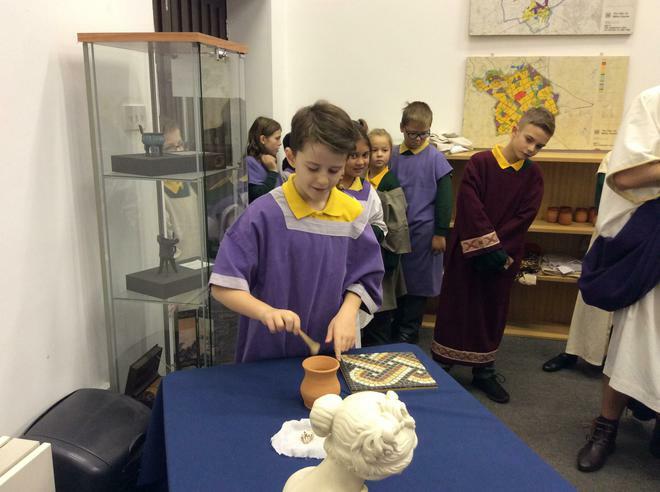 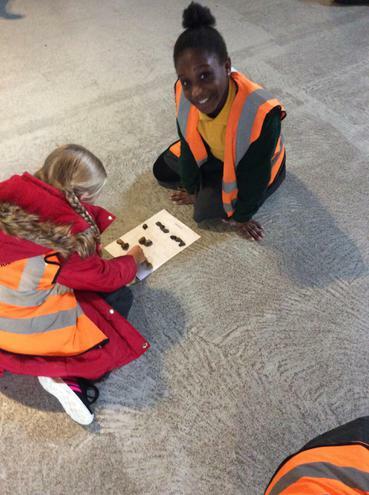 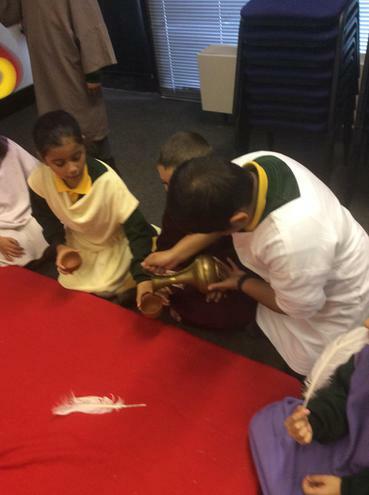 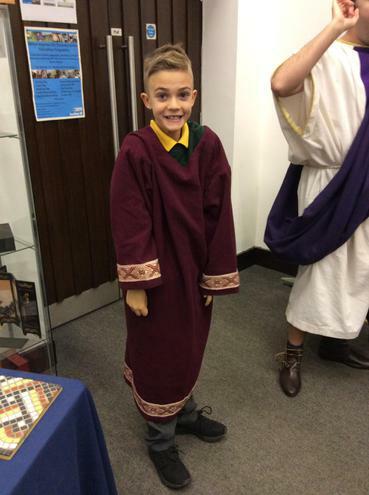 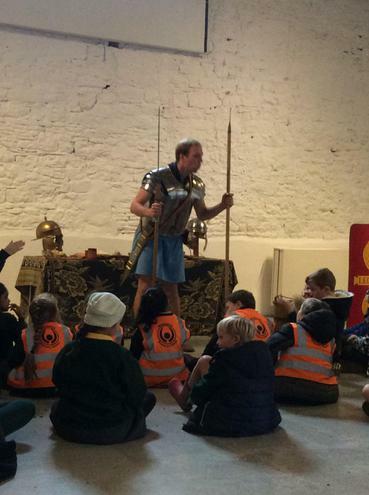 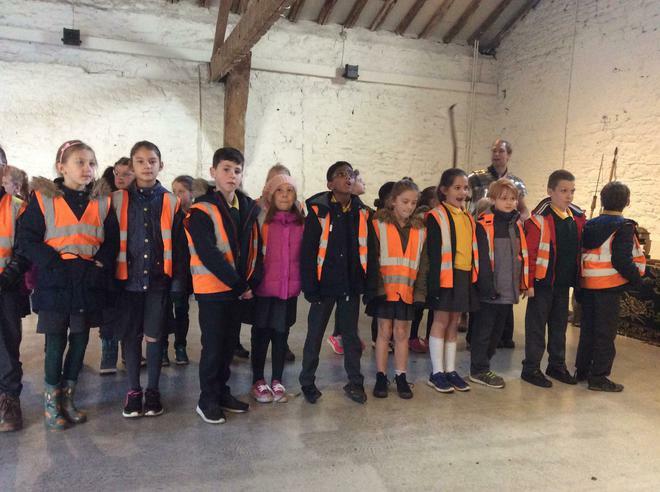 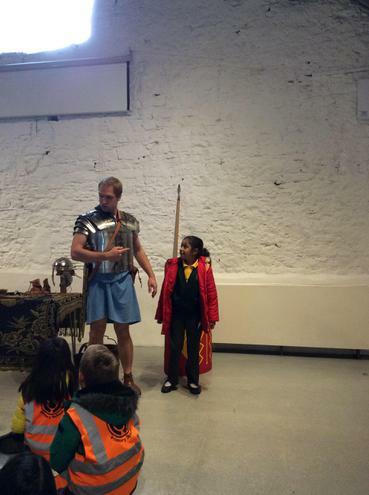 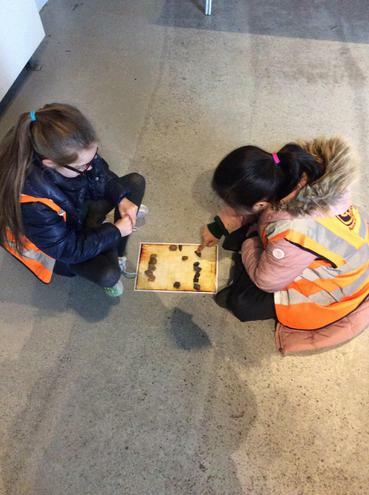 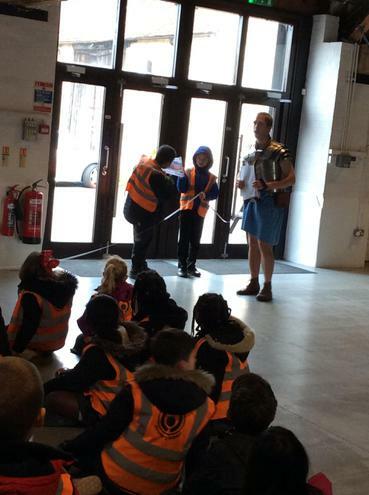 Year 4 visited MK City Discovery Centre as part of our 'Rolling through the Ages' topic. 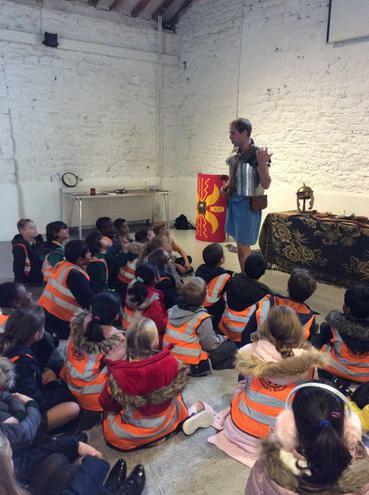 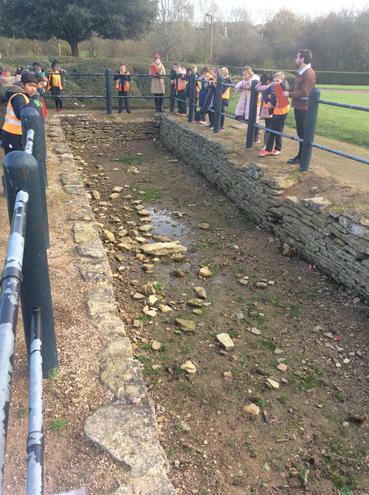 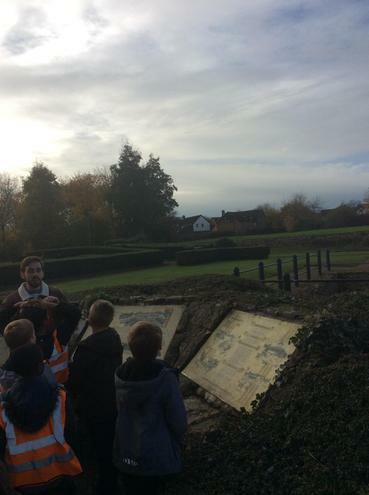 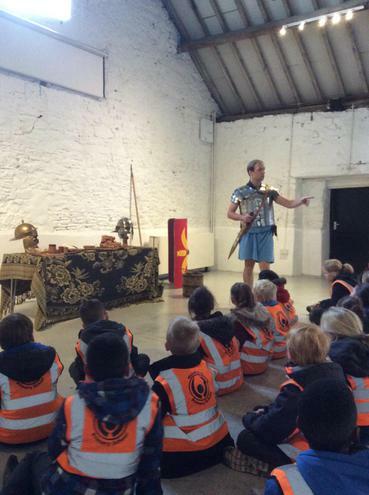 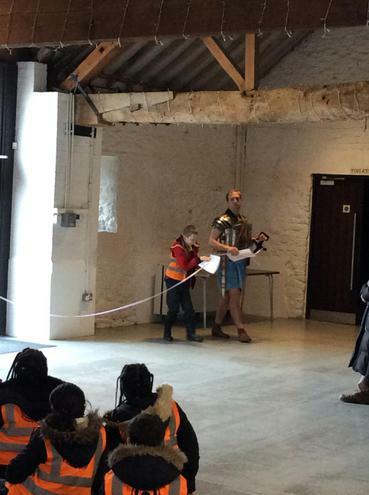 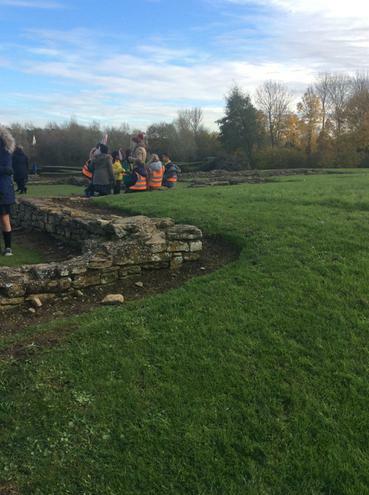 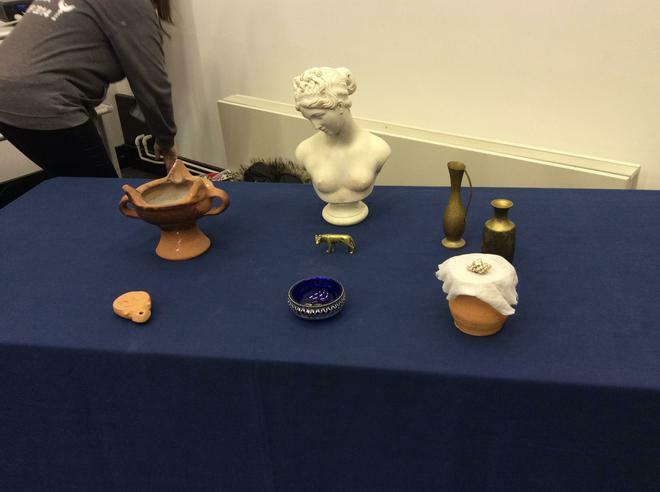 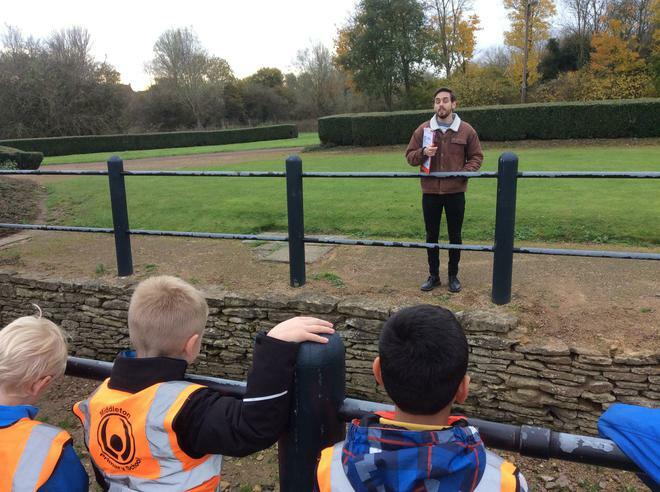 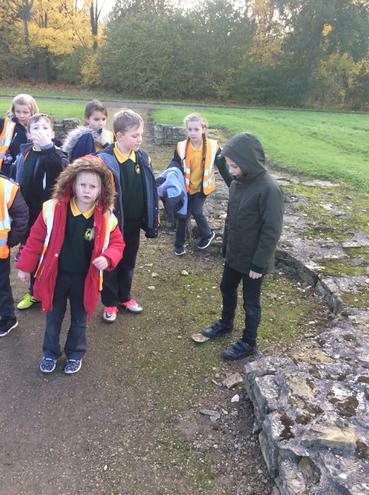 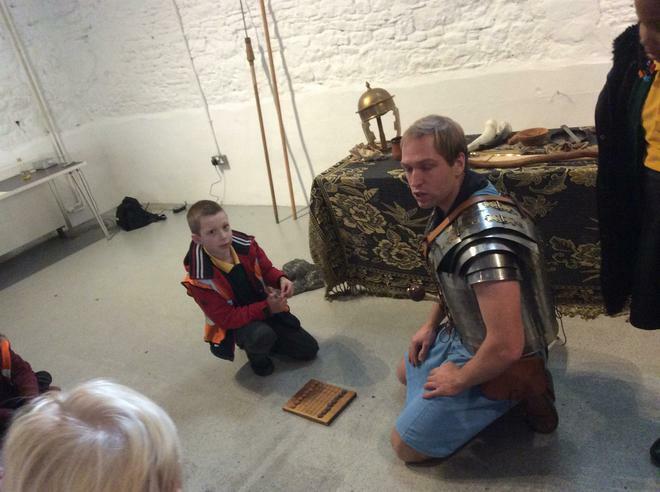 We stepped back in time and spent the day with a Roman soldier, Roman God and even visited the remains of a Roman Villa right here in Milton Keynes. 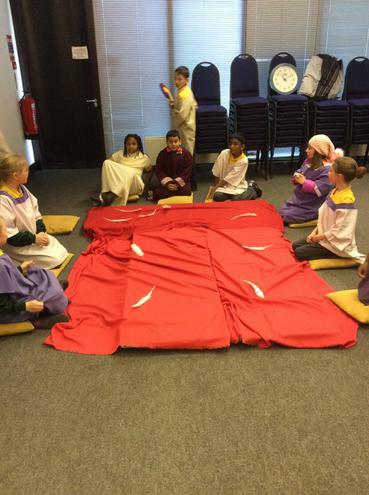 This term in Year 4 our topic is 'Rolling through the Ages'. 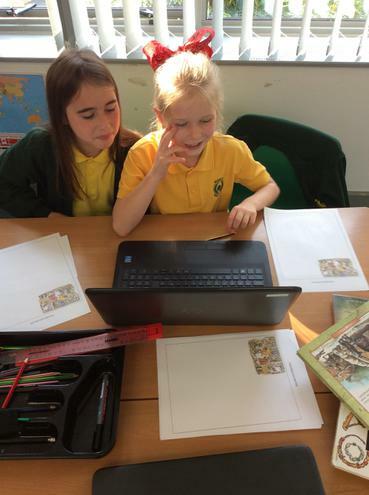 We have been asking lots of interesting questions and will be using a variety of sources to answer our questions. 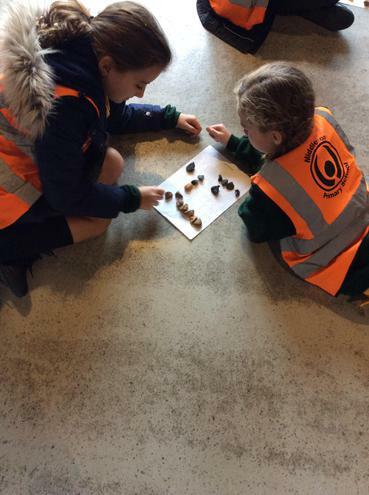 As part of our learning, we will be comparing life now to that of life during the Prehistoric Ages (Stone Age, Bronze Age and Iron Age). 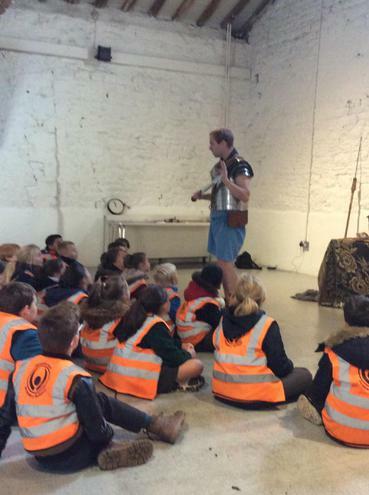 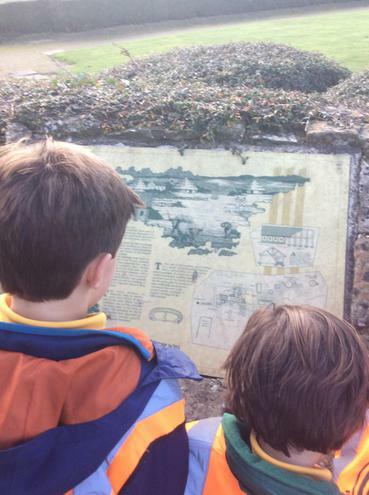 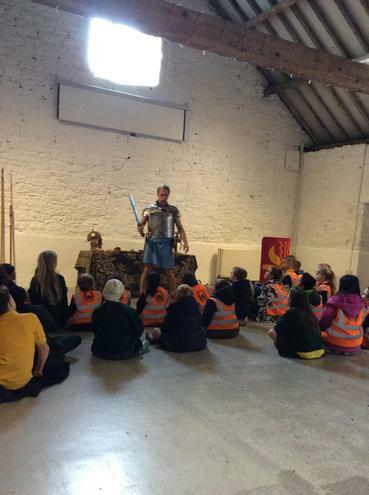 To round up our learning on 'Pre Historic Britain' we had a whole day of learning about The Stone Age, The Bronze Age and The Iron Age! 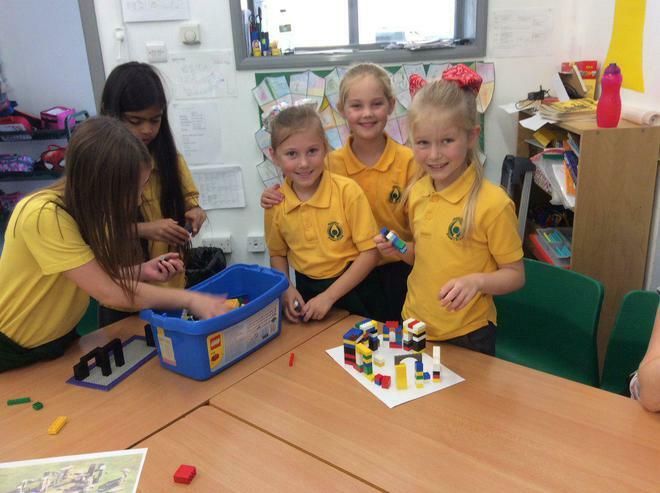 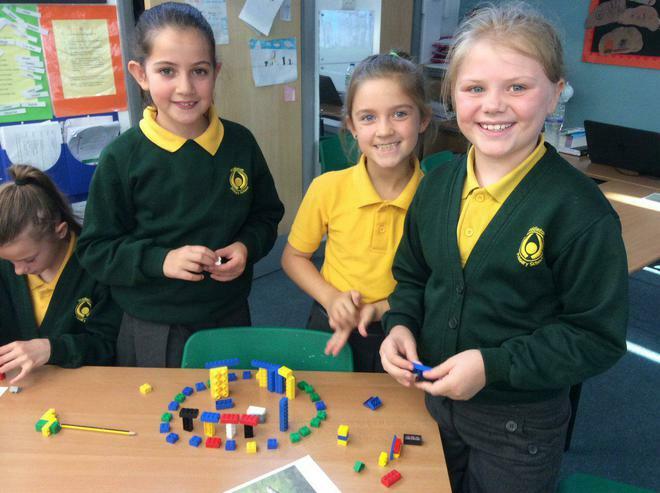 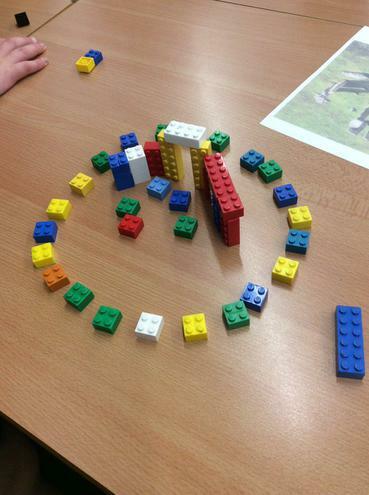 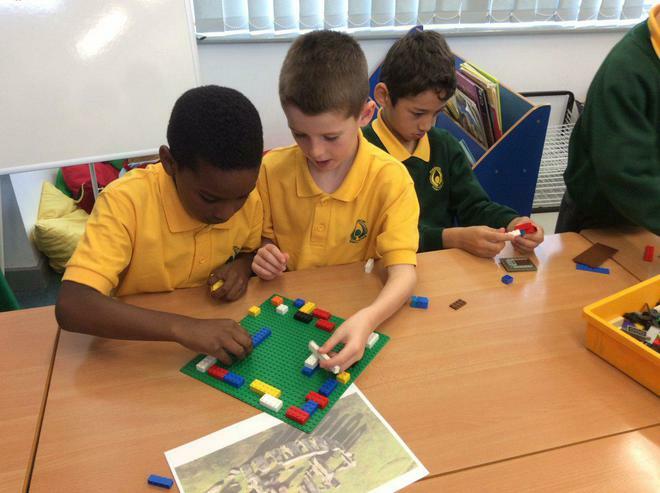 We found out about Stonehenge and then replicated the shape using Lego- we were very creative and worked well together. 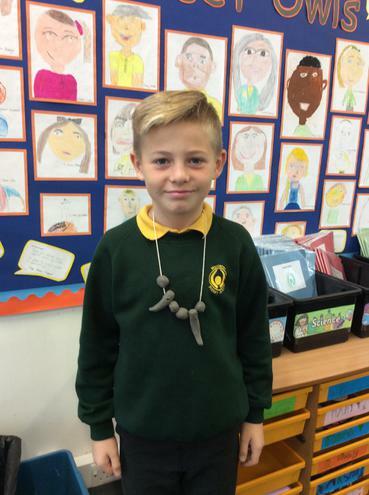 We also made necklaces out of clay, we had to be very careful when making the holes in the small shapes that we had created. 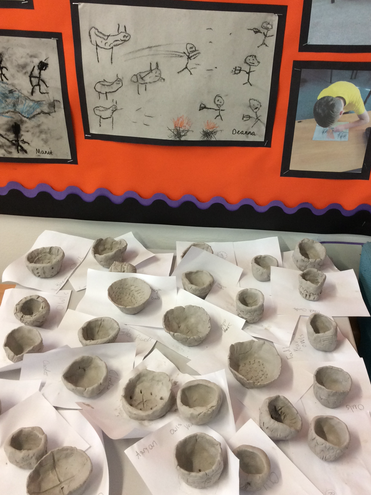 We made 'Pinch' Pots from The Bronze Age and used stones to add in the detail. 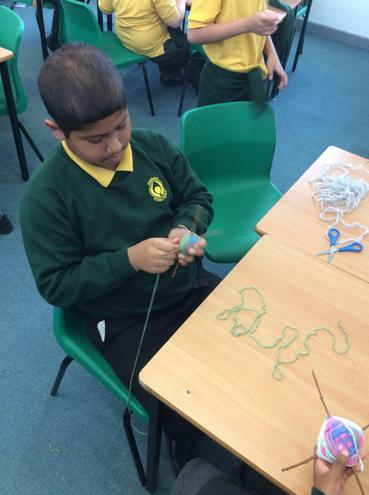 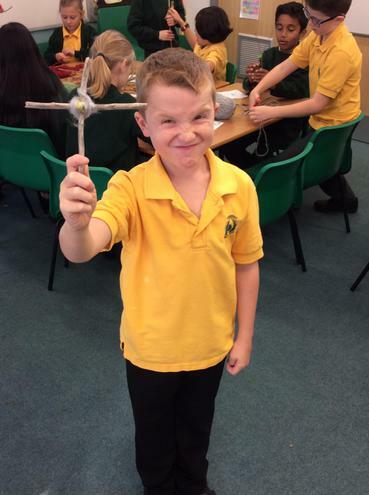 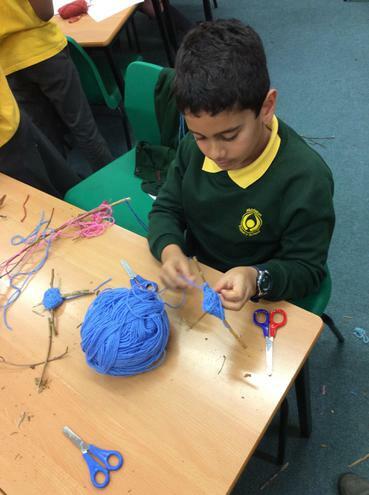 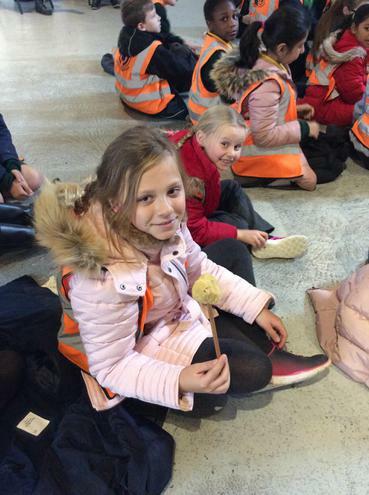 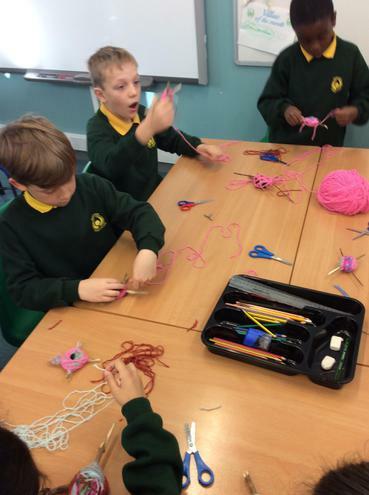 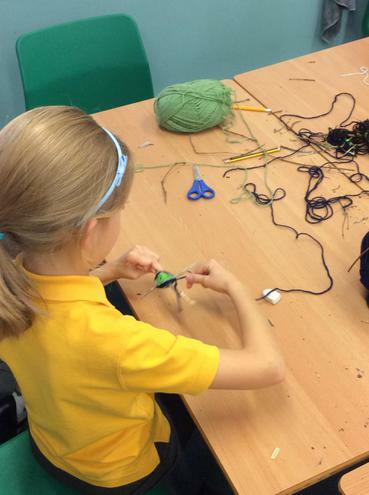 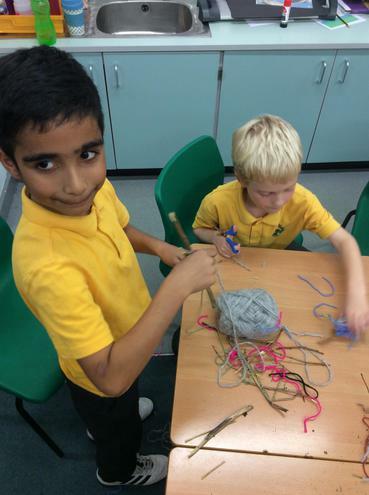 When we visited The Iron Age we found out about tools, weapons, food and clothing; we wrote our own recipes, designed weapons thinking carefully about materials, weaved wool around twigs and used different sources of information to deepen our understanding. 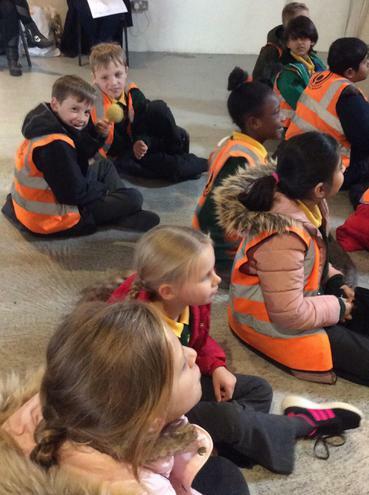 We all had a fantastic day! 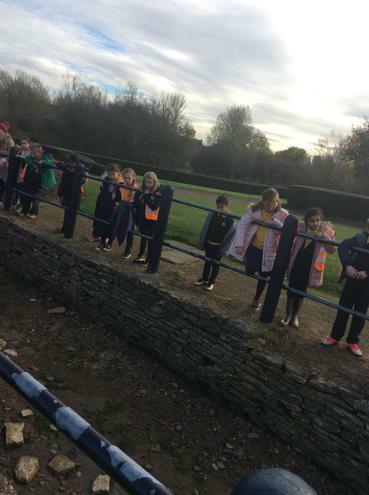 Take a look at our pictures below. 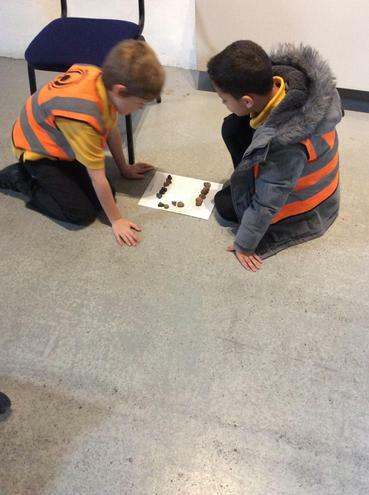 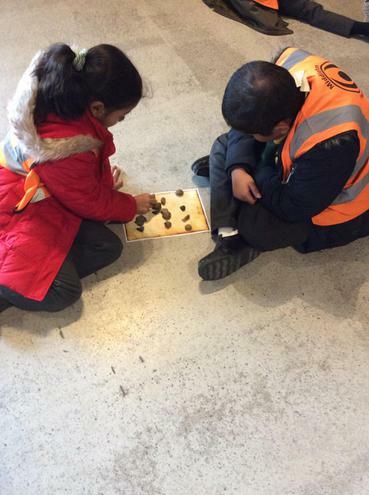 We have been sequencing movements to portray how we believe 'Hunters and Gatherers' travelled to hunt for their food. 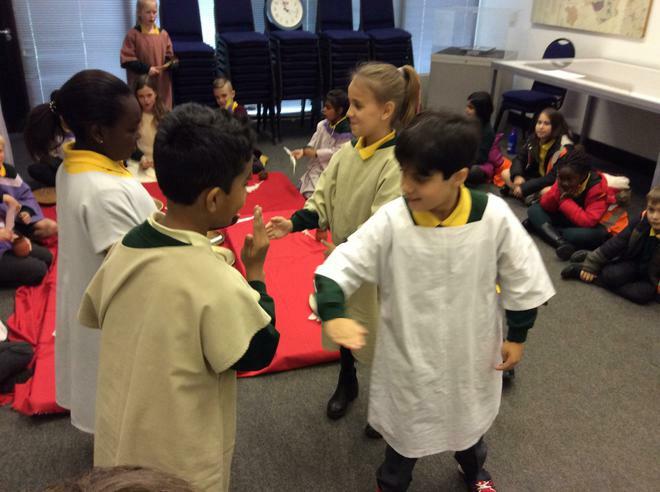 We listened carefully to the music and worked together to ensure that we were synchronised throughout the dance sequence. 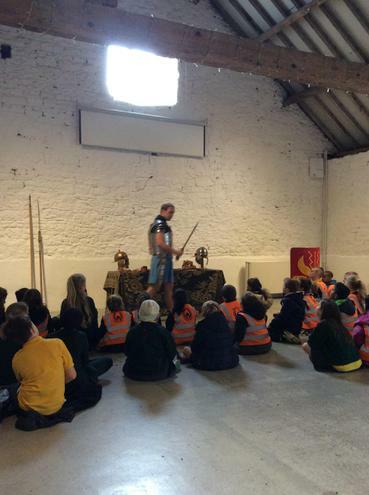 Stig Wrote a Letter to Year 4! 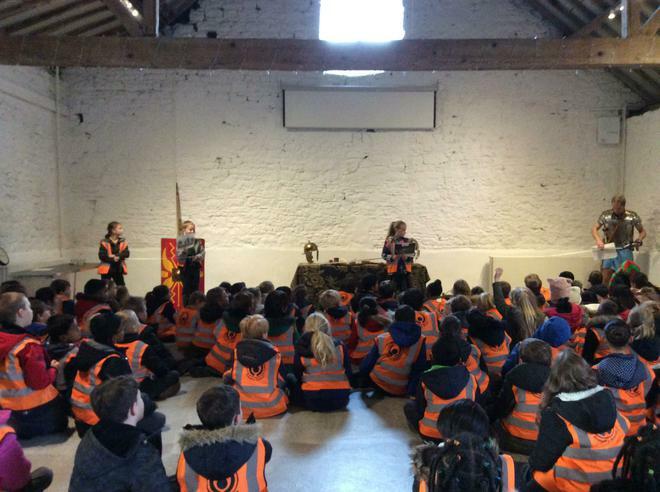 In Year 4, we couldn't believe it when we found a letter hanging in the tree from Stig! 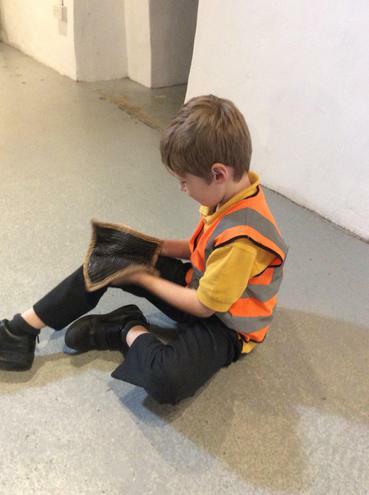 He wrote to us to tell us all about his life and how he survives in the dump. 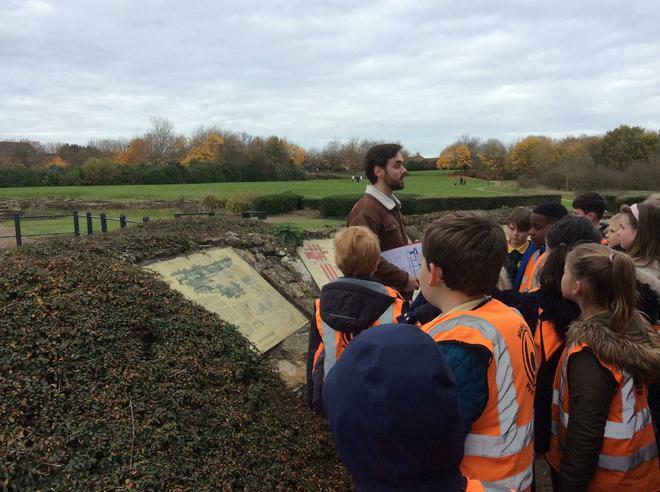 He asked us to reply to his letter telling him all about ourselves, our school and Milton Keynes. 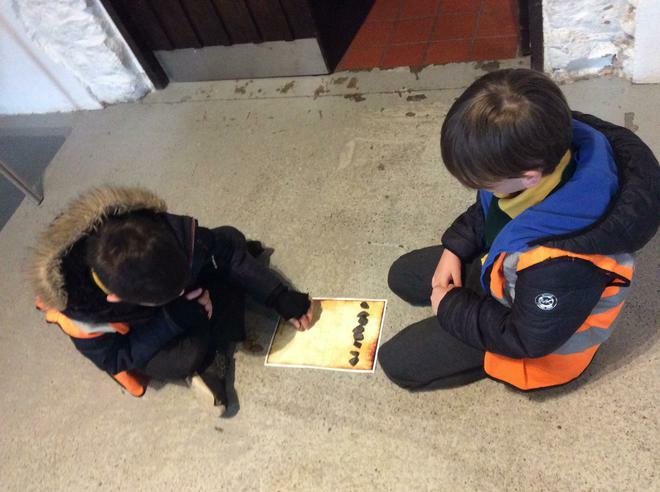 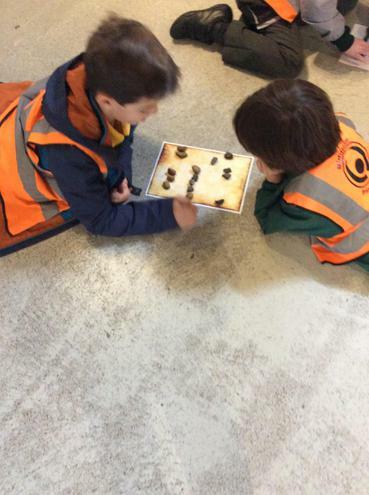 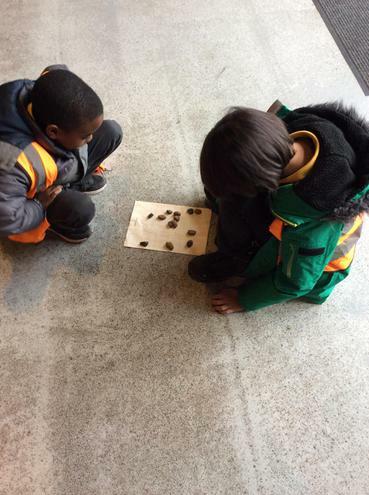 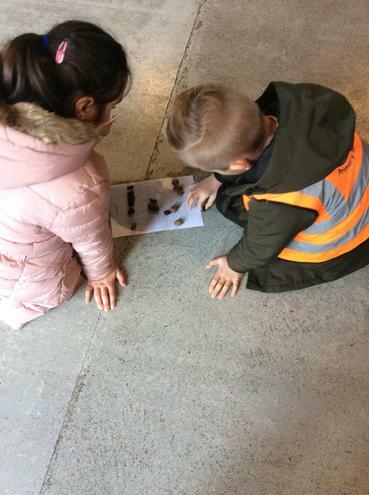 We used our fives senses to explore outside and make comparisons between our environment and Stig's as we know for sure that Stig doesn't have a brick built building with satelite dishes like we do. 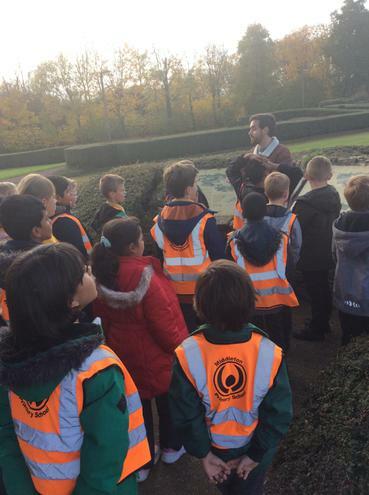 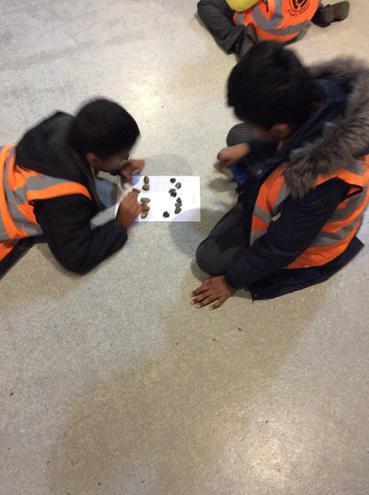 We have used adjectives and expanded noun phrases to describe in detail our environment. 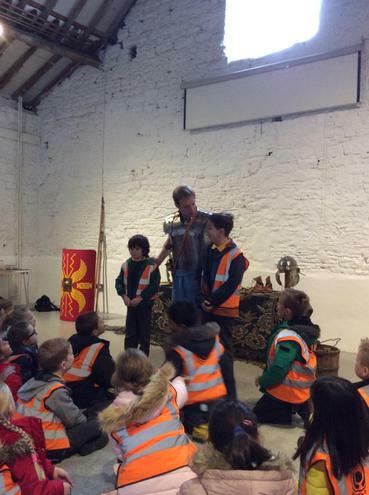 We really hope that Stig enjoys reading our letters. 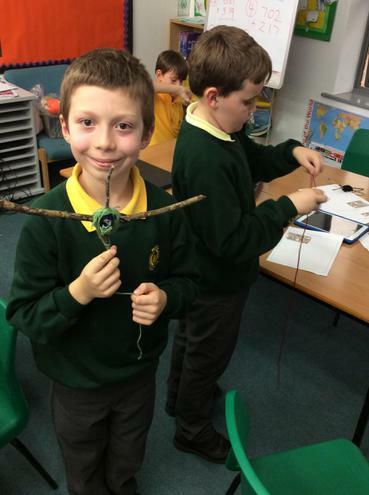 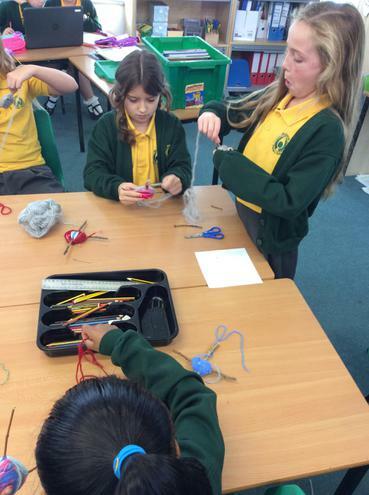 As part of our Electricity topic in science, we have been constructing circuits. 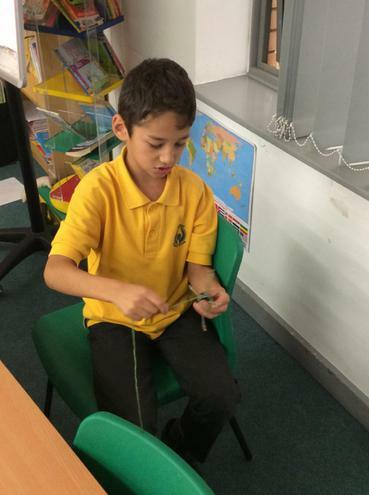 We have been investigating the effects of changing variables within our circuits. 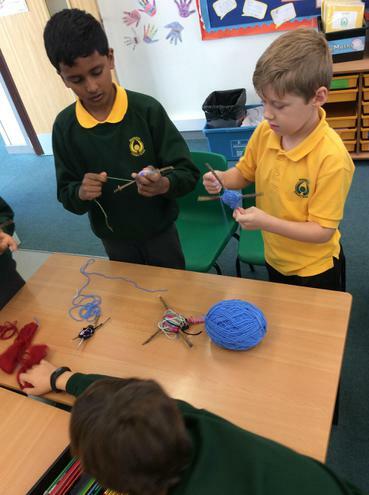 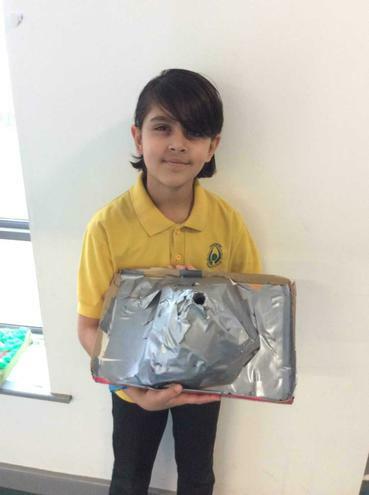 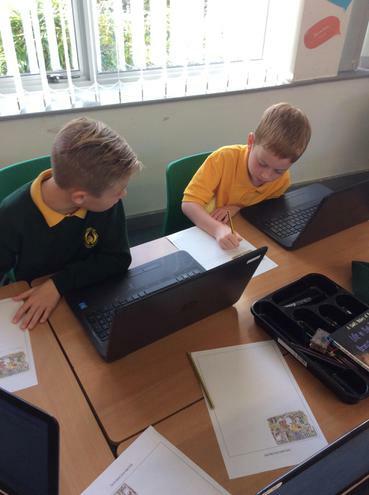 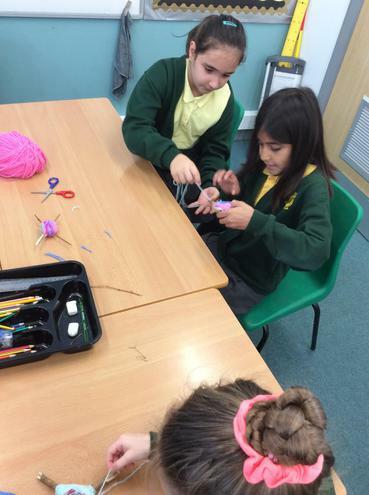 The variables that we have explored are: the number of bulbs, the number of batteries and the use of various materials in our circuits including a paperclip. 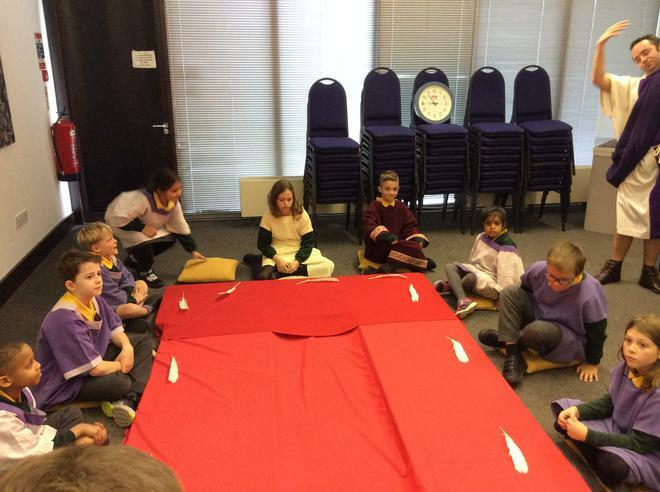 We switched off the lights, closed the blinds and sat under the tables to create an atmosphere of darkness. 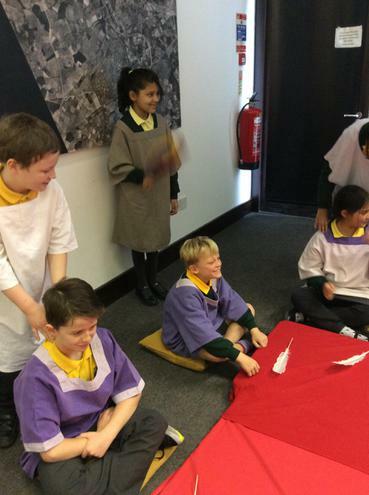 We used pastels to create our very own cavemen images and retold the story of our images to our peers. 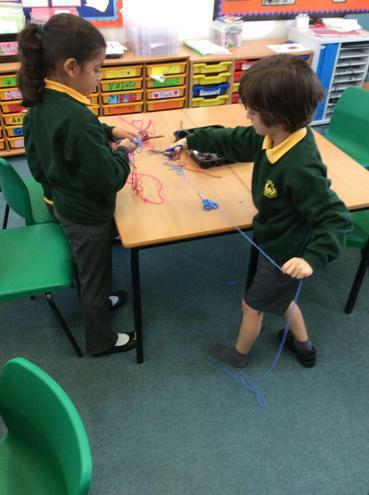 As a class we decided that we much prefer being able to tun on the lights when we need to. 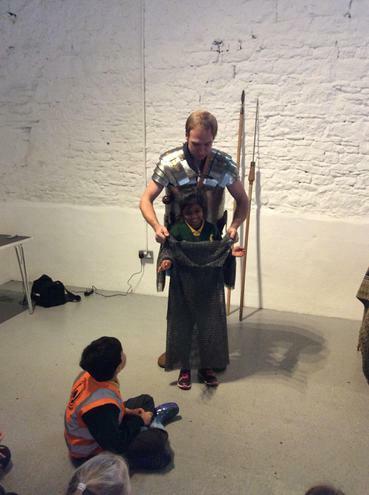 We can't even image how difficult it was to carve the cave walls to create images.